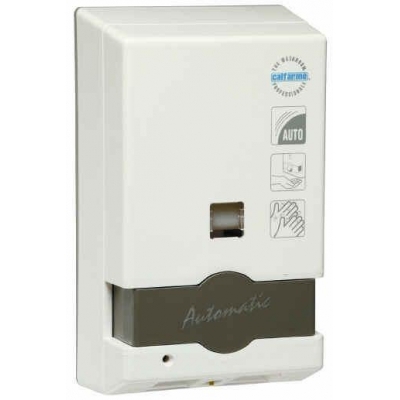 Automatic dispenser which also combines manual push button operation. Houses a 1,000ml refillable cartridge suitable for liquid soaps, gel and heavy duty grit soaps. Operates with three ‘C’ Cell 1.5V alkaline batteries and last 12 months / 50,000 doses or optional. AC/DC 4.5V (batteries not supplied). ASSEMBLY - Dispensers come with all materials providing the option to either tape or screw to wall surfaces. For cosmetic surfaces recommend tape and tile glue (not supplied).